I should have called this post “Trying to be Fancy” because that’s exactly what I was trying to do. 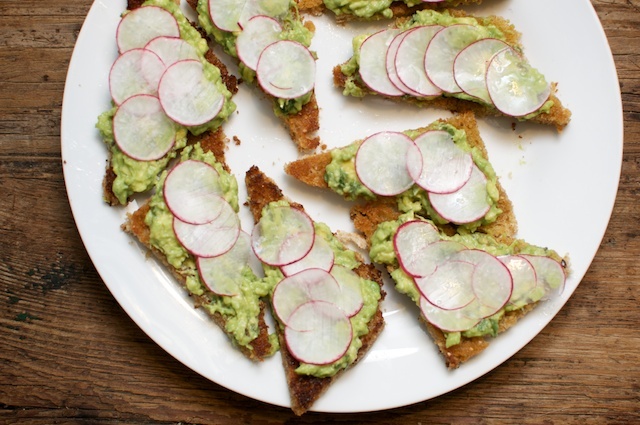 I have never purchased radishes at the supermarket, but I kept reading that a simple piece of bread with butter, sliced radishes and salt was one of life’s simple pleasures that I had never tried. Avocado is insanely nutritious and yummy so I threw that in the mix too. Toast a few pieces of bread until golden brown. Trim off the crust and slice into triangles. In a mixing bowl mash-up the avocado with the juice from half a lime, a sprinkling of fresh cilantro (about 1 tablespoon), 1/2 tablespoon melted butter and a little salt. 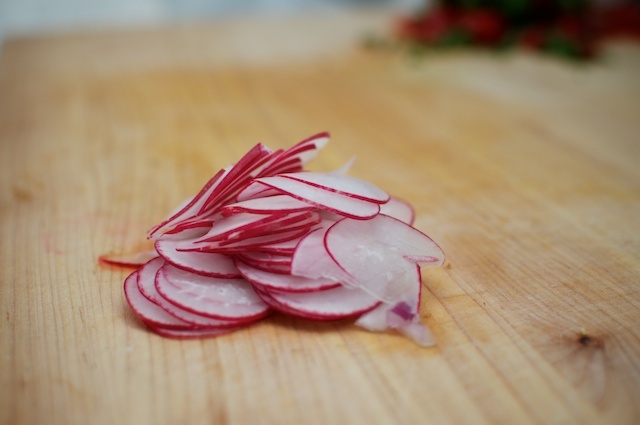 Then slice the radishes thinly about 1/8 inch. (If you are using a mandolin to slice them, you don’t want it so thin that they lose their crunch.) 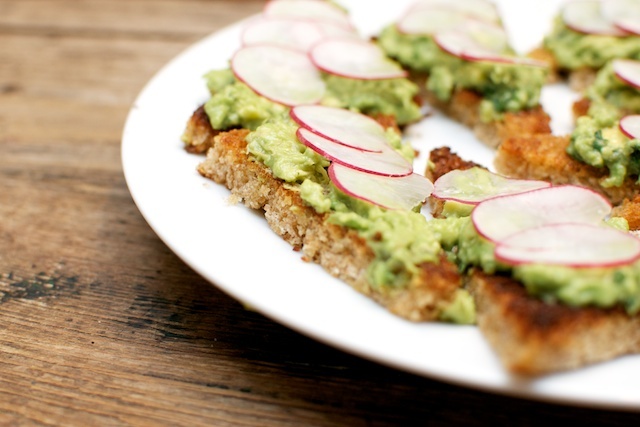 Layer radishes on top, and taste one of the slices for yourself. Add a little salt to the top if needed.